Here's a beauty post about products that I have purchased in last two weeks. some of them are repurchased items. 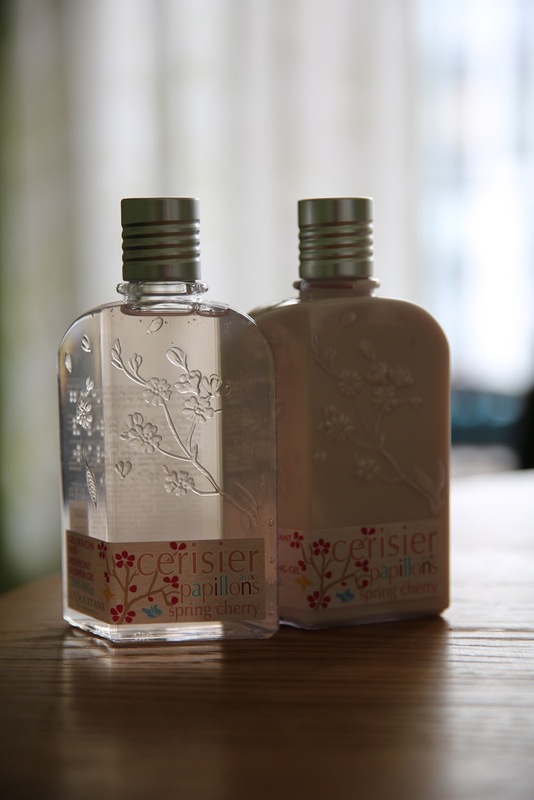 Let's start with Spring Cherry shower gel and moisturizing gel by L'OCCITANE. store today and purchase these 2 products. So far I can only tell that they smell beautiful and very light (discrete). They will be perfect for the upcoming Spring, can't wait to use them. and body lotions are leaving my skin silky and smelling wonderfully throughout the day. 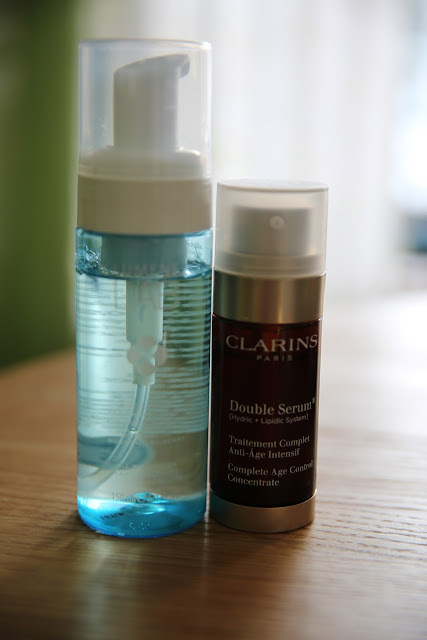 Next onto Double Serum by CLARINS and Cleansing Foam by LUMENE LAB. online so I just had to go and get one for myself. Let's see how it will work for me, I'll update you on this product sometime later on. I have used this foam only once and so far I really love how it feels on my skin. This product is paraben free, mineral oils and synthetic colorants free. 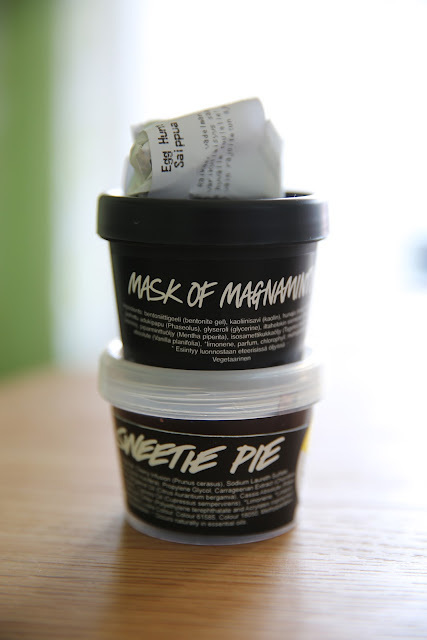 as well as Sweetie Pie so I'll keep you updated on these products as well! and CLARINS' Instant Light - natural lip perfector. moisturizes them and is not sticky which I hate about the lip glosses for instance. Definitely worth trying out if you're interested in this product! I adore LUSH, it makes you want to eat every product!! I love Karma Kream hand and body lotion. Have a lovely new week, sweetie! I always see Lush on people's blog. Time for me to try it! 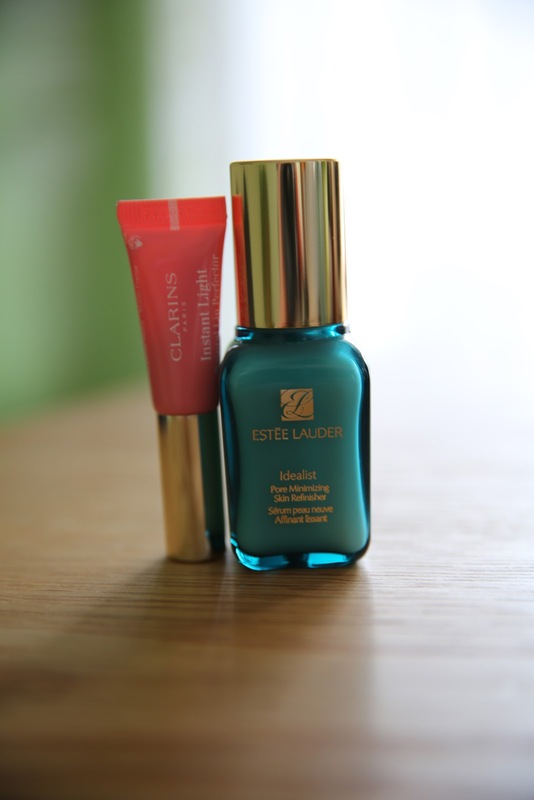 The Clarins lip perfector sounds exciting. Sometimes we put all our energy on skin and forget about lips. I try to use a lip scrub at least 2 a week and also a lip moisturizer. Kissable lips are in! nice stuff! Love to try that Lush product!